"We, the Catholic family of St. Henry Parish, with the inspiration of the Holy Spirit, accept the call of our Lord Jesus 'to go out therefore and make disciples.' We are committed to proclaiming the Gospel, being an active worship community seeking a deeper faith, providing Catholic education at all levels, and serving those in need. We do this as members of a larger body of believers within the Diocese of Covington and the Roman Catholic Church." 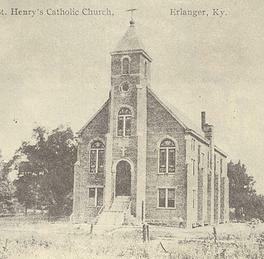 St. Henry Parish in Elsmere organized in 1890 as a mission of St. Paul Church in Florence, had its first house of worship in a small brick church erected on the corner of Garvey and Shaw Avenues. In 1893, the parish built a small school opposite the church. In 1899, the church burned to the ground. A year later, a new church was built on Garvey Avenue. 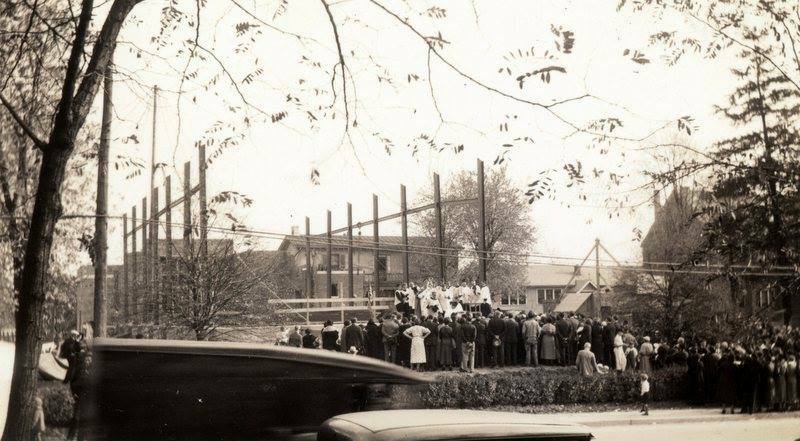 Continued growth of the congregation necessitated yet another church be built in 1936 at the present location on Dixie Highway. The Baby Boom after World War II prompted additional elementary school facilities in 1949 and again in 1964, followed by a new high school in 1967. After the reorganization of secondary education in the mid 1980's St. Henry District High School relocated in 1998 to a new campus on Donaldson Road . At the dawn of the 21st century, the hallmark of St. Henry Church's families continued to be a community of faithful who attend to the spiritual, educational, and social needs of the parish.